Attention, iPhone users: You require some education. You don't understand what a megabyte of data truly means, you see, and you're not aware of how much data you're using. If only you'd allow AT&T to reach out and teach you, all would be well in the world of 3G. Hang on -- don't start throwing stones my way just yet. The preceding message comes straight from the carrier you know and love. 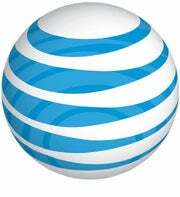 AT&T's CEO of mobility and consumer markets spoke at a conference in New York on Wednesday. Long story short: Get ready for changes in the way your mobile data is managed. AT&T Data Usage: Education, Incentives, and "Pricing Schemes"
The whole data-usage discussion revolves around an ever-increasing demand for mobile data. 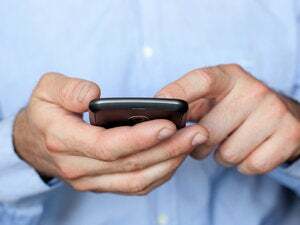 A recent report predicts mobile Web traffic will jump to more than 20 times its current amount over the next four years. It's no big surprise: Smartphones are becoming more and more prevalent, and those unlimited data plans do promise -- well, unlimited data. Still, AT&T seems to attract the most attention when it comes to public perception of network-related problems. And now, silly ad battles aside, the carrier is delivering its strongest indication yet of what solutions could be in store. "The first thing we need to do is educate customers about what represents a megabyte of data. ... We're improving systems to give them real-time information about their data usage." "With landline capabilities, we used that concept and customers didn't know how much data they were using. ... Once alerted, they reduced their consumption without anything other than being told that data was being used in an inordinate fashion." Well, there you have it: The problem isn't that AT&T's network can't handle the amount of data you're using. The problem is that you're using too much of the "unlimited data" you purchased. Now, to be clear, AT&T doesn't think everyone is part of the problem -- only a small percentage of its smartphone users. About 3 percent, to be specific. That's how many customers are responsible for 40 percent of the network's data usage, De La Vega indicates. So what happens if those demonic data-devourers can't be "educated"? Then the next steps come into play. Some kind of thus-far-unspecific "incentives" might be offered, and then, the final blow. "Longer term, there's got to be some sort of pricing scheme that addresses the [heavy] users," De La Vega is quoted as saying. What exactly that means is not yet completely clear. The practically comedic extremes this line of thinking could lead to, however, aren't hard to imagine. Here's my message to AT&T: You've taken plenty of flak for your network performance, both from your customers and from your competition. And we know people are using a lot of data. But let's face it, that authority to surf to their hearts' content is exactly what you sold them. If charging people for the data they use is what you need to do, then do it -- but, for the love of Luke Wilson, do it in an honest and transparent way. Don't market your plans as "unlimited" and then punish the people who actually take advantage of what they bought. That's bad business, plain and simple -- and it's something no marketing campaign can cover up.